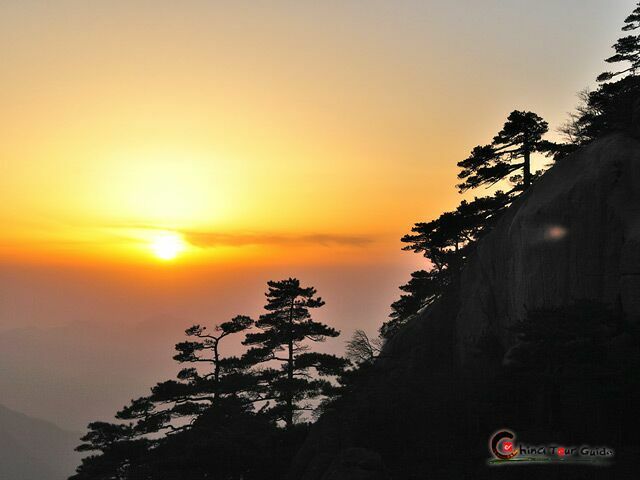 Located 40km (25 miles) away from Huangshan Mountain, Xidi Village was listed along with Hongcun Village as World Heritage Sites by UNESCO in the year 2000. 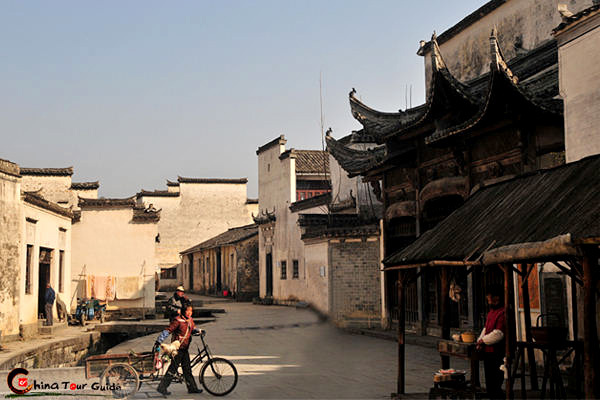 These two ancient villages are the most representative local-style residences in southern Anhui Province. 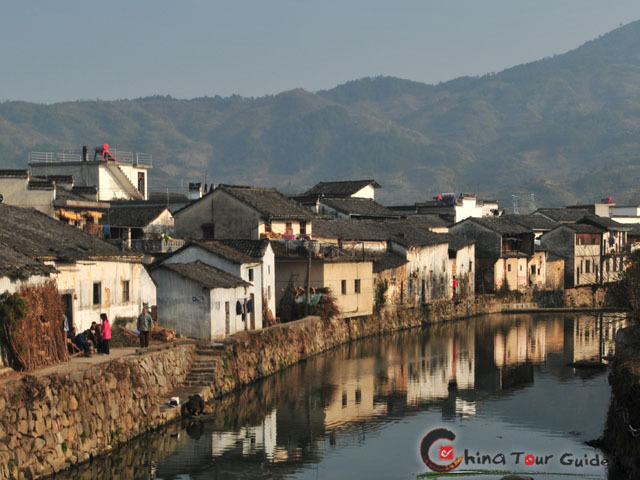 Xidi was first built during the Song Dynasty (960-1279 AD) and was originally called Xichuan (West River), because of the water courses flowing west through the village. With a history of over 900 years, Xidi Village is peaceful with a hidden charm to be discovered like in a fairy tale. With mountains surrounding it, clear streams flowing through it, and goldfish ponds and paddy fields interspersed throughout, Xidi Village looks too picturesque to be real. At the entrance of the village, a magnificent memorial archway, built in honor of a celebrated official in mid-Ming Dynasty, draws attention. Inside the village you will discover local-featured houses. The exterior is very stylish. There are stone archways, white walls, grey tiles, beautifully paned windows and projecting horse-head walls, just to name a few. The interior is made up of wood and brick two story structures, elaborately carved beams, and colorfully painted pillars. 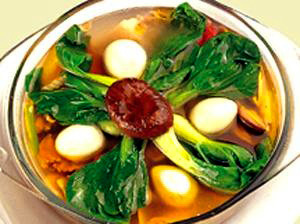 The designs of the wood carvings all originated from Chinese legendary stories and ancient routine practice. 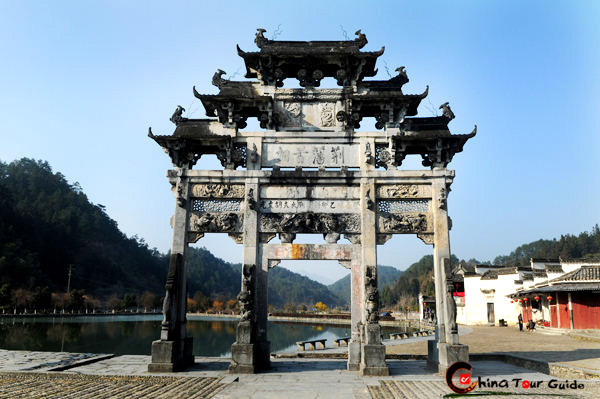 The ancient stone archway at the entrance of Xidi Village is more than 400 years old and still in good condition. 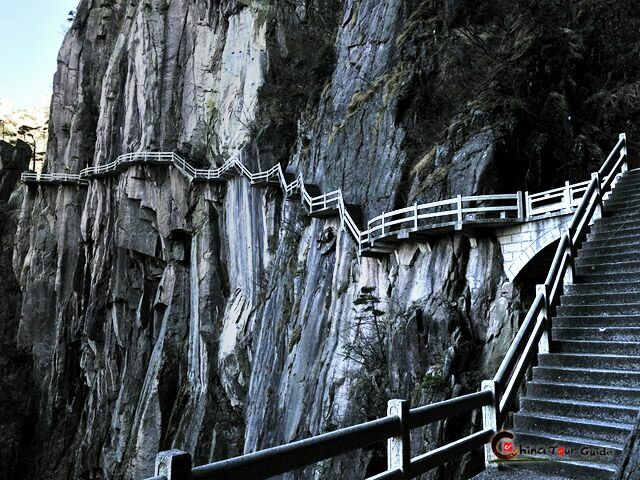 It is regarded as a masterpiece of Ming Dynasty's archways. The peaceful daily life of people in Xidi Village. The village streets and lanes with their original style remain as they have done for centuries. 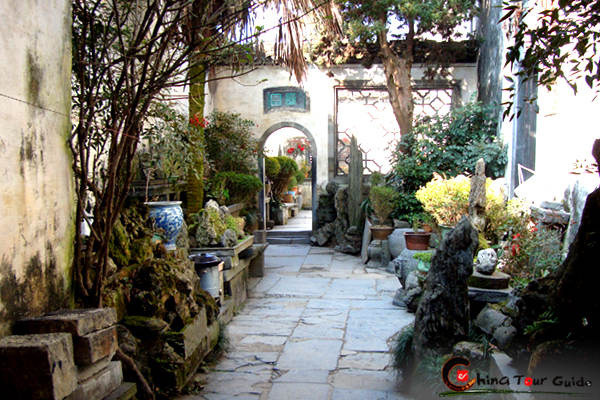 It is very common to see a yard in the houses of Xidi, trees, flowers and bonsai are finely arranged to make the yard chic and beautiful. 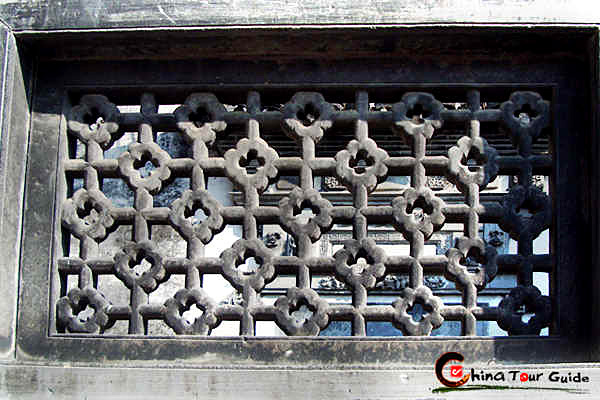 A classic stone-carving window in plum-flower shape at Xidi Village. In addition to the intrigue of the architecture are a number of crystal-clear streams flowing through the village. The narrow, transparent streams glister, running slowly yet forever ahead. For millennia they have been the ever-present witnesses of Xidi's changes and beauty. Along the waterways of the village, your eyes will be drawn to the ancestral temples, ancient academy buildings, and simple, yet elegant, stone bridges that criss-cross in every direction. Strolling through this ancient village, you will find that every inch of it was designed by artists. A plethora of flowers, birds, and beasts are carved onto the marble doorframes. Decorated bricks feature: pavilions, human figures, and scenes from local operas. Villagers have kept these arts alive, and welcome visitors to see their woodcarvings, murals, and gardens exhibitions. 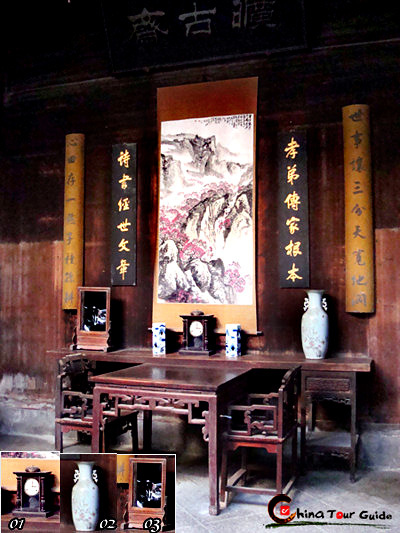 In Xidi Village, interior design: arrangement of antique furniture and paintings, hasn't changed since the Ming and Qing Dynasties (13681911AD). Now there is a throwback style for you! 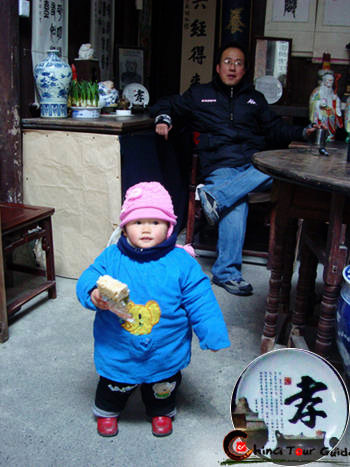 The villagers of Xidi now still live a peaceful life there as they try to preserve and carry on the family virtue and cultural heritage from generation to generation. The decoration of the main hall in a Hui-style house with a clock (01), a vase (02) and a mirror (03), the combination of which pronounces "Zhongsheng Ping Jing" in Chinese, which means "being peaceful for a lifetime". 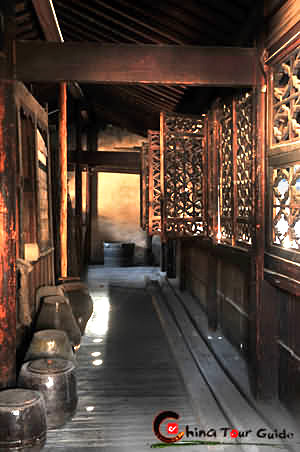 It is a corridor of a well-preserved house in Xidi; the light of sunset penetrates into the corridor through the exquisite wooden carvings, and the big pots put aside the path was used for storage of food in the old times. 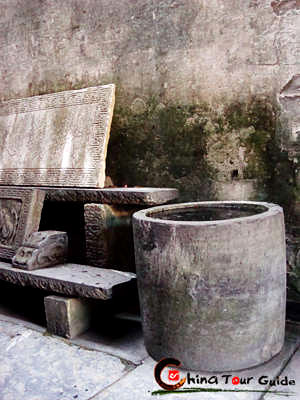 In the old times of Xidi Village, there were usually a large pot at the doorway of every house for water storage in case of fire.